This fall saw me make an incredibly exciting leap, moving to the DC area to accept a lead design position with one of the nation’s most respected floral design studios, Sweet Root Village. I am so grateful for this incredible opportunity, and have been feeling God promoting me to step out in faith toward something new for some time. I couldn’t be more excited that this is that step! This does mean that A Floral Note will be closing in Tucson. 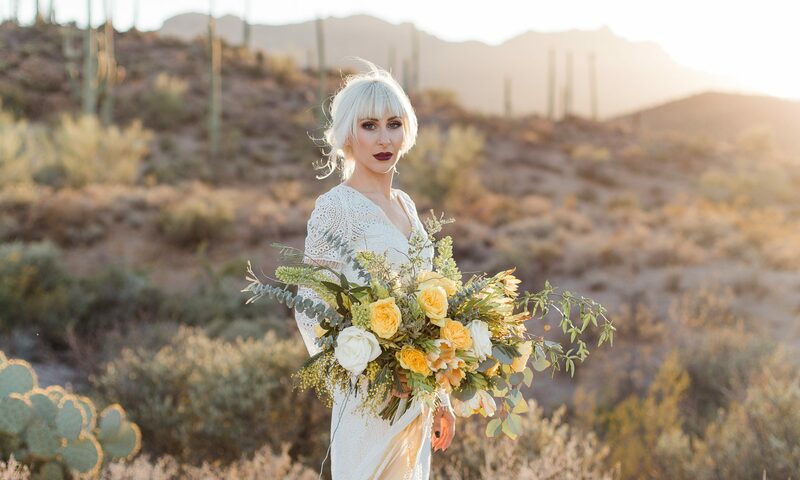 I will be travelling back to complete a few final weddings in 2019, which I am so excited for, but will no longer be accepting new wedding bookings in Tucson. If you are looking for a fantastic floral designer for yourself or to refer your clients to, check out my “Vendor Love” page. I want to thank you all for your kindness and support throughout the growth of my business. It has been one of my greatest pleasures to live and work in Tucson! Follow along on my all my new flower adventures at @afloralnote and @sweetrootvillage, and feel free to shoot me an email or message with any questions… or just to say hi! I truly love the way flowers bring joy to people in all different circumstances, and I love being able to share that joy. I also love big open skies and sunshine (I feel like I am solar powered for sure), hiking, and my pups Gus and Eli. Testimonials and notes from past clients.